Scottish Magician-Scientist hybrid Kevin Quantum activates his silly side with comedy sketch-magic. This fast paced show has more blow-your-brains tricks than you can shake a wand at and will make you laugh. 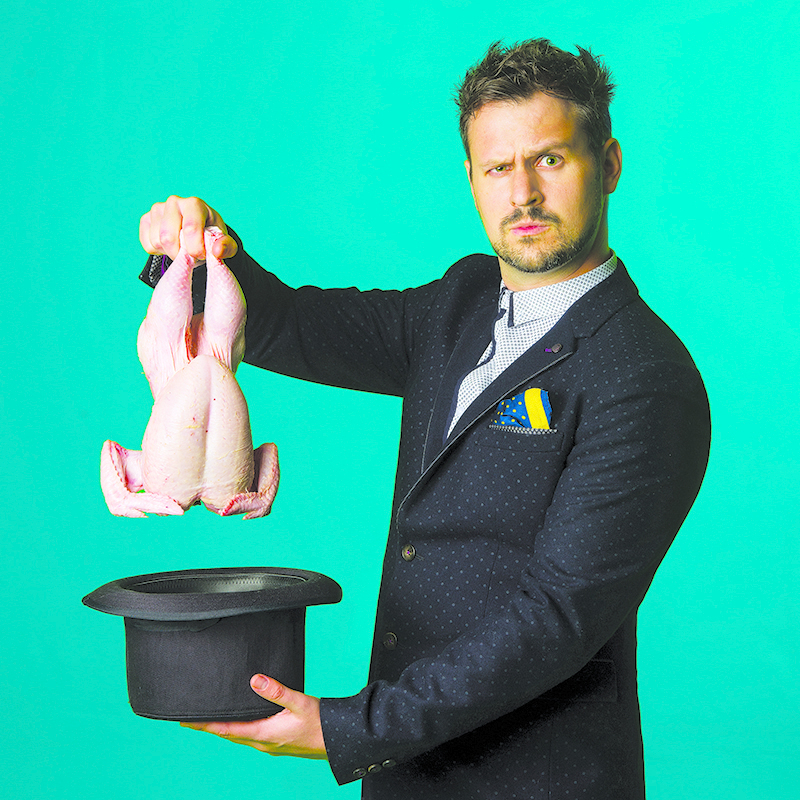 Nominated at the Scottish Comedy Awards, winner BEST MAGIC 2018 Adelaide Fringe, tutored by Penn and Teller - KQ will rock your socks off. And you won't even have to take off your shoes. Kevin has appeared in BBC documentaries, consulted for the National Theatre of Scotland, taught Eddie Izzard magic for a movie role and broken a Guinness World Record (The Largest Magic Lesson). He was the first magician to perform at the Globe Theatre in London and has been nominated twice at the Scottish comedy awards. Oh, and he was also awarded BEST MAGIC at the Adelaide Fringe 2018.